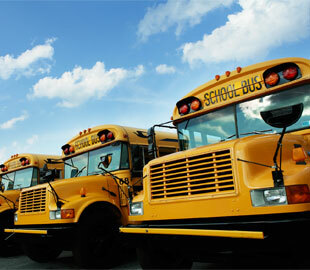 Trying to find bus leasing and rental services in Louisiana? National Bus Sales is here to help! We have an amazing selection of shuttle buses, school buses, and other transport vehicles available for rent at any time. You can trust us with your rent and leasing needs. National Bus Sales offers the best bus leasing and rental options in the country, period! We have models available from Starcraft, Federal Coach, Glaval, and many other manufacturers. Many of these buses come with special features, like A/C, lifts, audio/video and reclining seats. If you have a specific request for your bus rental, let us know so we can accommodate you. At National Bus Sales, we offer monthly and yearly bus rental and lease contracts for Louisiana, giving you the flexibility you need for your agreement. We have TRAC leases, lease purchase agreements, and operating leases for Louisiana, and we even offer financing on most of our buses for sale. If you would rather buy a bus than rent it, fill out a credit application so we can see what terms are available for you. National Bus Sales has buses that fit anywhere from 14 to 84 passengers. It doesn't matter if you have a small choir to move around or a full class of college students. We have vehicles that can suit your needs. We require a $2 million liability insurance policy for all of our rental contracts, but we can help you get that if you do not have it at the moment. All you need after that is a security deposit and licensed driver to set up an agreement with us. 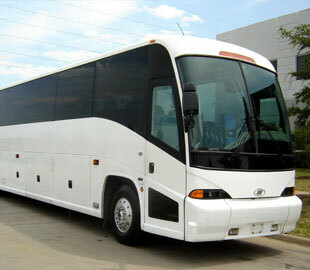 We also have bus financing available in Louisiana. Fill out a credit application on our site, and we will do our best to secure a loan for you. Let National Bus Sales help you get a bus for rent or lease in Louisiana. Call us today @ 800.475.1439 to learn more about our flexible programs and expansive bus selection.